On Jan. 8, 2018, the trial room on the seventh floor of the Las Vegas, Nevada, federal courthouse was packed with over a dozen reporters and at least five times as many spectators. At the front, facing the bench, was a 71-year-old rancher named Cliven Bundy. He didn’t look well; his ankles were shackled and his back hunched. Four teeth had recently been pulled. He had been on trial for eight weeks and imprisoned for nearly two years. In a bit of trial theater, he was wearing blue jail-issued clothes with “detainee” stamped on the back. Nearby sat two of his sons, Ryan and Ammon, as well as another ally, a self-styled militiaman named Ryan Payne. For more than 20 years, Cliven Bundy had illegally grazed cattle on federal land surrounding his ranch 75 miles north of Las Vegas. When the feds attempted to round up the cattle in April of 2014, the Bundys and Payne led a protest that escalated into an armed confrontation with the Bureau of Land Management and National Park Service. Now, the four men faced 15 charges, ranging from threatening federal officers to conspiracy against the United States, carrying a maximum sentence of over a century for each defendant. On the face of it, the case was the federal government’s to lose. Bundy’s supporters had pointed loaded weapons at federal agents, and the rancher owed the American people more than $1 million in unpaid grazing fees. The Bundys’ argument hinged in part on their belief that the federal government cannot legally own land — a fringe interpretation of the U.S. Constitution unlikely to stand up in court against a century of case law. The verdict promised a final reckoning for the Bundys, the BLM and Western public lands. U.S. District Judge Gloria Navarro took her seat overlooking the room. “The court finds that a universal sense of justice has been violated,” she said flatly into her microphone. But she wasn’t talking to the Bundys; her disappointment was directed at the U.S. attorneys, the Federal Bureau of Investigation and, by extension, the BLM. She was dismissing the case, with prejudice, meaning that it could not be brought again and would provide no answer to the question of whether or not the Bundys had broken the law. 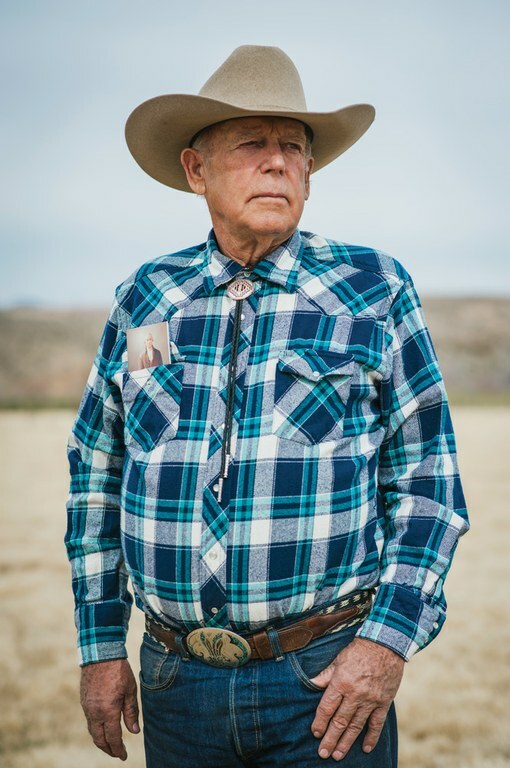 Instead, there remained only lingering questions: How did it come to be that, at 10:50 a.m., Cliven Bundy strode out of the courthouse, unhunched, unshackled, in a gray blazer, blue jeans and white cowboy hat — a free man? And what role did the government play in creating an anti-public-lands hero, through its own bungled attempts to take him down? 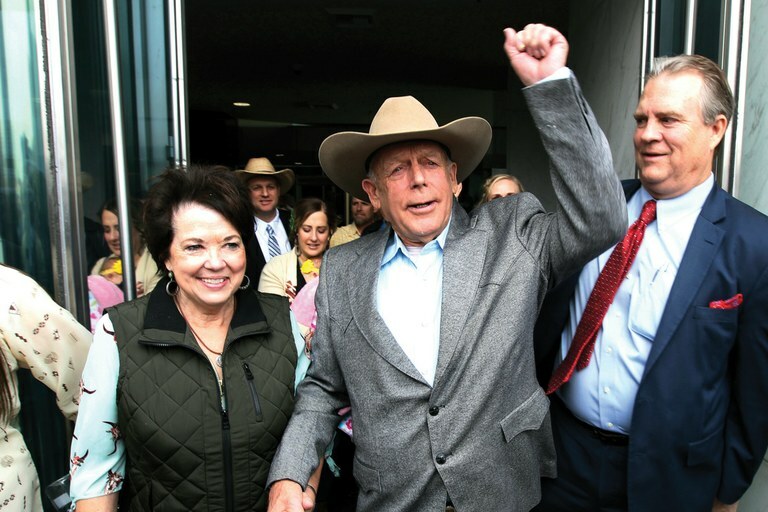 Cliven Bundy walks out of federal court in Las Vegas with his wife, Carol, and attorney Bret Whipple in January, after a judge dismissed criminal charges against him and his sons over the 2014 standoff in Bunkerville, Nevada. The Bundys’ dispute with the federal government is deeply entwined with the family’s sense of place. Their strength comes from their sense of story. At the center of their story is Bundy Ranch, just south of Interstate 15 on 160 acres of private property in Clark County, Nevada. Cliven’s parents bought the property in 1948 from a second cousin. His father used it to secure a federal permit for the Bunkerville grazing allotment, which spanned 154,000 acres of BLM desert around the ranch. In 1990, after the U.S. Fish and Wildlife Service listed the Mojave desert tortoise as a threatened species, the number of animals ranchers could graze on BLM land was limited to preserve sensitive habitat. Clark County, seeking to mitigate the impacts of Las Vegas development on the tortoise, worked with the BLM and The Nature Conservancy to buy out grazing permits. “There was quite a bit of peer pressure among the ranching community,” said Jim Moore, formerly of The Nature Conservancy, who worked on the buyouts. “Nobody wanted to be the first to break.” Seeing fellow ranchers sell out helped inspire Cliven to proudly declare himself “the last rancher standing” in Clark County. Ultimately, he alone refused the offer, and in 1993, he stopped paying grazing fees. The BLM offered him a new permit, with more restrictions, but he declined. Court decisions in 1998, 1999 and 2013 ruled that Bundy must remove his livestock from public land. Bundy ignored them. For years, hundreds of his cows roamed wild as far south as Lake Mead, 40 miles from his ranch.He was, in his words, making his “stand” for what he saw as right and good: a settler family who had earned its place in the landscape through legacy and hardship. Bundy’s maternal great-great-grandfather, Myron Abbott, settled near present-day Bunkerville, Nevada, in 1877, where he farmed cotton, melons, wheat and other crops. A paternal great-grandfather, who settled just over the border in a remote part of northwest Arizona in 1916, helped found what became known as Bundyville. The settlement became the center of a tight-knit community with a strong sense of personal history, bonding its residents to each other and to the land. When the trial began in mid-November, Ryan Bundy gave an opening statement drawn from this same family ethos. He chose to represent himself, trading his jail scrubs for a black suit. Through his romantic descriptions of life on the ranch, he indicated that his family’s legacy gave them the right to use the land in perpetuity. Meanwhile, he suggested, the family’s 11 active water rights near the Bundy property allow them to run livestock without federal permission. It’s true that legacy is a form of currency out West: Many mining, grazing and water rights are stronger the older they are. Yet all of these rights come with rules attached. 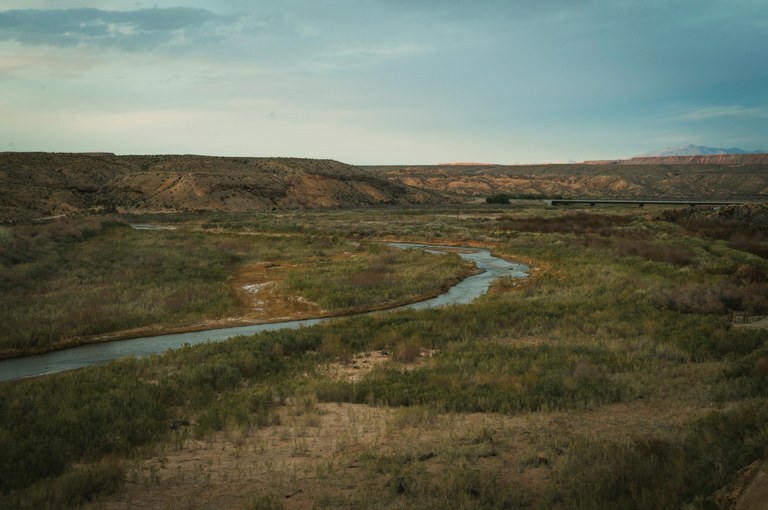 Nevada water rights, for example, merely allow someone to use water, not “do an end run around grazing fees,” as University of Nevada law professor Ian Bartrum wrote in a deeply researched essay about the Bundys. Indeed, prosecutors pushed back against Ryan’s water law argument, and the judge agreed, barring further discussion of the topic. But in some ways, the Bundys had scored a victory. Deep in weedy discussions of land and water law, it isn’t hard for laypeople to wonder if these details even matter when it comes to who deserves what. As one prospective juror put it: “In this whole state, there’s so much land … who cares?” Who wouldn’t want to get back to talking about something with clearer stakes? Fortunately for the Bundys, that’s what they’re best at — staying out of the weeds and on message. “I feel that it’s important if you’re here to judge me,” that you get to know me, Ryan Bundy told the jury. The rancher’s son displayed a photo of himself with his wife, six daughters and two sons, projected on screens throughout the room. “This is my ID,” he said. “This is who I am” — more than a driver’s license or other government-issued identification. Family, land, a history — these were what conferred legitimacy, not state-given authority. 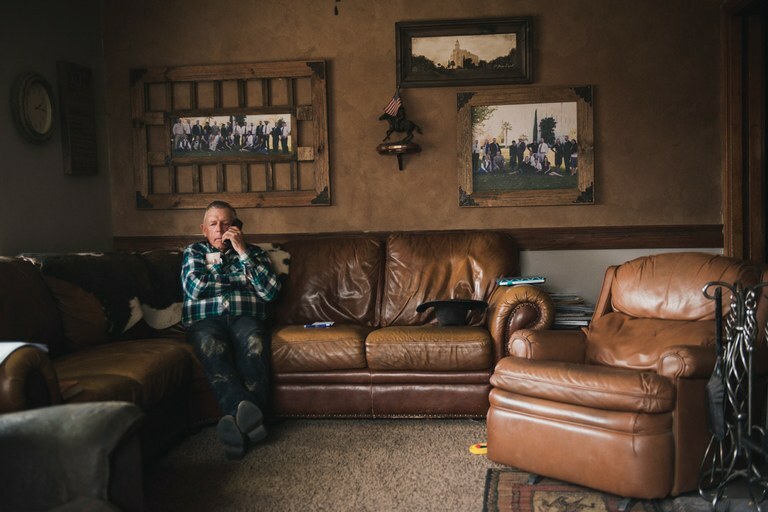 Cliven Bundy talks with his son Ryan, who helps on the ranching operation, from the living room of the family home near Bunkerville, Nevada. The Bundy children and grandchildren, and the temple of The Church of Jesus Christ of Latter-day Saints in St. George, Utah, are pictured in rustic frames hanging above the couch. Ammon, like his family, is Mormon, a member of the Church of Jesus Christ of Latter-day Saints. The U.S. Constitution has always been important to the faith. The religion’s founding prophet, Joseph Smith, considered it divinely inspired. Mormons in the 19th century were persecuted for their religion, forced from New York to Missouri to Illinois to Utah. The First Amendment offered them a chance for survival. In the 1950s, Cleon Skousen, a former FBI agent and Brigham Young University professor, seized on old claims that Smith had prophesied a future time when the Constitution would be under attack, and Mormons would have to keep the country from losing its way. Skousen’s beliefs are not LDS Church doctrine, but they deeply influenced the Bundys’ philosophy. A neighboring rancher first gave Cliven Bundy a bundle of Skousen’s handwritten notes in the 1980s. “That’s where I started to understand (the Constitution),” Bundy told me. The Nay Book relies particularly on Ezra Taft Benson, a former U.S. secretary of Agriculture and prophet of the LDS Church from 1985 to 1994. Benson’s distrust of big government was a product of the Cold War, during which many Americans saw communism as both the political and moral enemy, says Matthew Bowman, Henderson State University associate professor of history. The Nay Book quotes Benson as saying: “One of Lucifer’s primary strategies has been to restrict our (individual) agency through the power of earthly governments.” Most mainstream Mormons disagreed with Benson’s most far-right, conspiratorial ideas. “However, there is a cadre of Mormons, people like the Bundys, who take much of what he said very seriously,” Bowman says. Cliven Bundy speaks to a packed house at the Freedom and Property Rally in Paradise, Montana, following the dismissal of federal charges stemming from the Bunkerville standoff. When Steven Myhre, then Nevada’s acting U.S. attorney, began presenting the case against the Bundys in the Las Vegas trial, he relied on a very different story about the federal government, and about the Bundys. The BLM, he told the jury, carries out a commendable mission to manage public lands for all Americans and for the nation’s wildlife — not just for ranchers. When the agency began to confiscate the Bundys’ cattle on April 5, 2014, he said, it was acting on behalf of those other constituents, enforcing laws the Bundys had long flouted. As the impoundment proceeded, the ranch family sent out calls on social media for supporters to help them stand against the government. 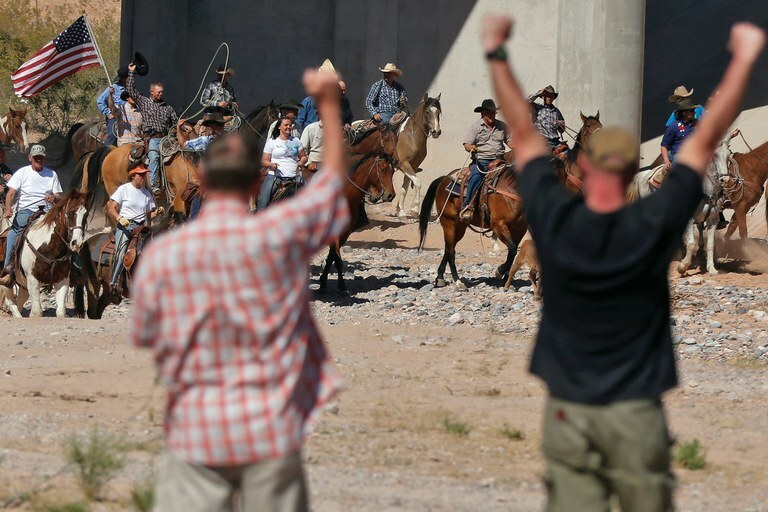 Hundreds of people traveled to Bundy Ranch, angered and inspired by the online messages. Payne, head of a militia group called Operation Mutual Aid, organized militia members from across the country and used social media to recruit more supporters. Over the next few days, the Nevada gathering turned into one of the largest buildups of “militants” the FBI had ever seen. Supervisors told Hinson and her colleagues to “shelter in place.” That night, they slept in their vehicles and in the command station trailers, in chairs and on the floor, going to the bathroom in pairs. The next day, violence felt imminent. By mid-morning, Clark County Sheriff Doug Gillespie told a crowd of angry protesters that the BLM was calling off the impoundment. An assistant sheriff made the final call to release the cattle as quickly as possible to avoid bloodshed. But when Cliven Bundy’s supporters arrived at the sandy wash to retrieve the cows, the feds still hadn’t left. Hundreds of protesters, many in tactical gear with long guns, approached the federal officers serving as a buffer between them and other employees. That day was terrifying for those employees, Myhre told the jury and Judge Navarro. There were about 400 protesters and “guns everywhere.” The prosecutor said the Bundys and Payne had intentionally escalated the situation — misleading their supporters to believe that they were under threat by a militarized federal government. Actually, Myhre concluded, the opposite was true: The military show of force came from Bundy’s supporters. “They pointed weapons at us,” Erika Schumacher, head BLM ranger in southern Nevada at the time, told me. (She has since left the agency.) Some armed protesters took high ground on a bridge, others on the sides of the wash. Payne would later tell the Missoula Independent that he was operating as a “kind of on the ground commander” for the militia. “We had counter sniper positions,” he said. Eventually, the feds left in a steady stream of dozens of trucks and SUVs, escorted by local police for their own safety, and surrounded by yelling protesters. Yet while Myhre made his case, something else was going on behind the scenes. Days earlier, at a pre-trial hearing, the defense stumbled on some intriguing information. Hinson mentioned that a government video camera was placed on public land near Bundy Ranch before the standoff to monitor the area. Cliven’s attorney, Bret Whipple, couldn’t believe his ears. “Nobody had heard (about the camera) before,” Whipple told me (though prosecutors claim they provided this information back in 2016). A surveillance camera apparently spying on the Bundy residence would not look good for prosecutors, Whipple thought. “I didn’t even look up because I was too afraid I would give away my shock. I just remember my body going on alert,” Whipple said. The defense team also learned that the government had withheld behavioral and threat assessments indicating that the Bundys were unlikely to resort to violence. This might not sound like a lethal blow to prosecutors, but their case also hinged on the notion that the Bundys were dangerous. “The government has relied, time and time again in pleadings and prior trials, on findings that Cliven posed a threat as a means to explain the overwhelming presence of law enforcement in the area,” Ryan Payne’s attorneys argued in late November. Yet an FBI analysis suggested the Bundys weren’t a serious physical threat, they said. One of the threat assessments included a communication plan for the BLM and Park Service to use in 2014 to “educate the public and get ahead of negative publicity.” But the BLM never implemented that plan. Therefore, the judge suggested, it wasn’t Ryan Payne’s fault if Bundy supporters fed him misinformation. “No alternative information was available for him to discover the truth directly from the government,” Navarro said. The government’s decision not to provide more explanation for the impoundment appeared to be hamstringing the prosecution in court. The more information the defense team dug up, the more the impoundment resembled the Bundys’ descriptions of it in countless social media posts to their followers for the past three and a half years. By December, the government’s case had begun to unravel. The Virgin River flows past the Bundy ranch near Bunkerville, Nevada. The ranch itself is 160 acres, but the Bundys once held grazing rights on more than 150,000 acres surrounding it. The BLM has been in the business of law enforcement longer than any other natural resource agency. Around 1832, its predecessor, the General Land Office, hired its first agents to crack down on timber theft from public land. Law enforcement in agencies like the Forest Service and BLM differs from regular policing in that it focuses on protecting natural resources — something local police and sheriffs aren’t as focused on. BLM rangers gained authority to make arrests and carry firearms with the Federal Land Policy Management Act in 1976. The law enforcement program began in earnest in the Southern California desert soon after. During the new program’s first couple of decades, the BLM’s cops usually had prior natural resource experience. But as the population grew and encroached on the West’s public lands, managers faced increasing crime. Problems ranging from vandalism to illegal marijuana grows demanded rangers with more law enforcement experience. The BLM was also responding to a 2002 Inspector General report titled Disquieting State of Disorder: An Assessment of Department of the Interior Law Enforcement. The report described BLM law enforcement as chaotic and leaderless. It recommended the agency raise the profile of its policing arm and have special agents across the country report to a new director of the program in Washington, D.C., rather than to state directors. Over the next several years, this change left BLM special agents siloed — separated from their colleagues in a more autonomous arm of the agency, several former BLM managers said in interviews. Dan Love — the BLM top agent for Utah and Nevada and the man who led the Bundy cattle impoundment — was a perfect example of the culture shift, Patrovsky said. Love, a former employee of the Federal Air Marshal Service, also had a personality that proved problematic for the BLM. On one occasion in 2014 in San Francisco, he walked into a conference room to meet with the organizers of Burning Man, an annual arts festival in Nevada’s Black Rock Desert, wearing sunglasses and a handgun on his hip. 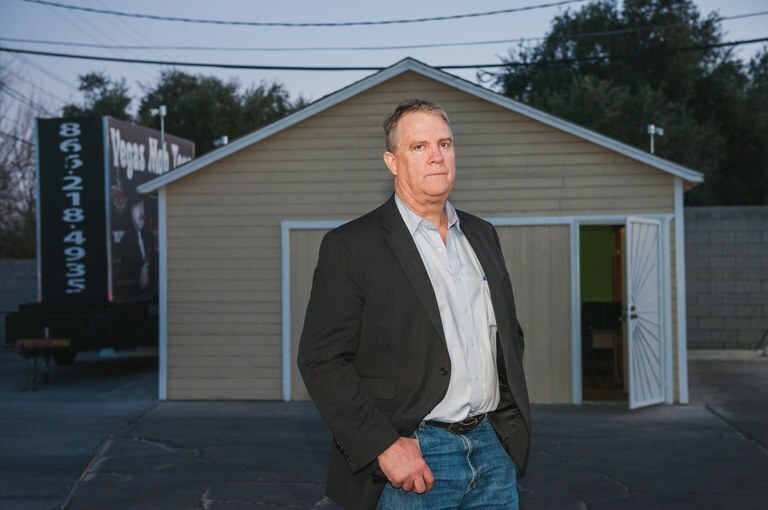 “I was embarrassed for BLM,” said Mike Ford, a former manager at the agency for 25 years. The festival worked closely with the BLM to secure land-use permits each year and had hired Ford as a private consultant to facilitate the relationship. During the meeting, Love made outrageous demands, Ford said. Love wanted Burning Man organizers to provide 100 pairs of high-end goggles to protect against dust, and funds for additional law enforcement officers; later, he demanded ice cream machines and washers and dryers for his BLM compound. “I called (Love) out,” Ford said. “He became very agitated. He was trying to bully his way through a situation.” Jim Graham, a spokesman for Burning Man, confirmed Ford’s statements. The festival organizers capitulated for multiple years, but are now appealing with the Interior Department to recoup costs. Love was also the subject of two ethics investigations by the Office of Inspector General. One concluded, in January 2017, that he intimidated colleagues; the other, released last August, found he had tampered with evidence for an unrelated case. The BLM fired him last year. He has become a favorite scapegoat for the Bundy standoff on both sides of the political spectrum, though his supervisors at the BLM’s Office of Law Enforcement and Security likely bear responsibility as well. Former Nevada BLM ranger Erika Schumacher countered that times have changed since the ’80s. The heavy law enforcement presence in 2014 was a valid response to the unique circumstances, she told me. The number of cattle — she estimated over 1,000 — and the massive expanse of rough terrain left the feds feeling exposed. And “we were getting intel that the militia was coming,” Schumacher said. Indeed, the Oath Keepers, Three Percenters and Operation Mutual Aid were all bringing people to Bundy Ranch. Social media had become a force multiplier in ways that the BLM had never seen. “It was almost a monster,” Schumacher said. It got worse, she said, when the Clark County sheriff, who had agreed to assist in the operation, backed out the week before: “Once the sheriff pulled out at the last minute, they called in FBI to help with security. … We didn’t really have much of a choice.” It was Love who requested that the FBI place a surveillance camera on public land to monitor the pro-Bundy protesters — the same camera that would feature prominently in the undoing of the government’s case. On the morning of Jan. 8, Navarro dismissed the case. “The court finds that the government’s conduct in this case was indeed outrageous, amounting to a due process violation,” she said. The prosecutors had suppressed hundreds of pages of information, the camera and the threat assessments. “It seems no coincidence that most, if not all, of these documents are authored by the FBI,” but even if it was that agency that withheld evidence, it was the prosecutors’ job to seek it out. The prosecutors’ misrepresentations in court made questions about whether the BLM’s show of force was warranted irrelevant. The U.S. attorneys had engaged in “flagrant misconduct,” Navarro said, and she dismissed the charges with prejudice. The government would not get a second chance any time soon, and the Bundys could go home. The next 90 minutes were a flurry of excitement. Bundy friends and family poured out of the courtroom and into the hallway, tears and laughter coming all at once. Cliven Bundy wanted to remove his shackles outside the courtroom, in front of the media and his community. (The marshals said no.) He walked out of the building 45 minutes later, arm-in-arm with his wife, Carol. “If the BLM comes to do an impoundment, it will be the very same thing as last (time),” he told the gathered scrum of reporters. A crowd of over 100 supporters swarmed him and his sons outside the building. A pro-public lands protester asked Ryan Bundy if the family would start paying their grazing fees. 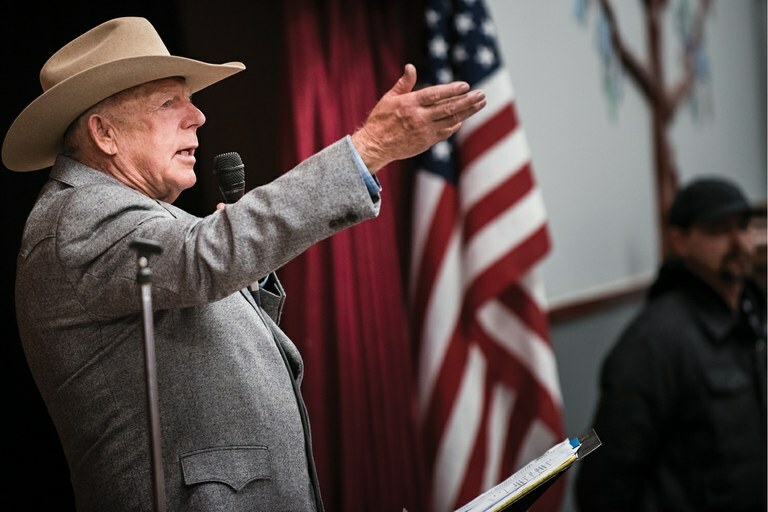 “What the hell are grazing fees?” Bundy responded. “The land belongs to 326 million Americans,” the protester said. Bundy countered that the land belonged to “the state and her people,” and told his adversary to read the Constitution. An hour later, reporters filtered away and the excitement began to cool. Drops of water fell on the crowd, breaking into a southern Nevada record of 117 days of drought. The federal government has not been forthcoming about why it took two years to indict, and over three years to prosecute, the Bunkerville defendants. Dan Love’s ethics violations came to light during that time, which almost certainly complicated trial preparations. To make matters worse, internal conflicts within the BLM may have also made trial preparations a struggle. One employee alleged BLM misconduct in the agency’s investigation of the standoff, though Maxine Bernstein at The Oregonian quotes another BLM investigator who disputes those allegations. “This was an extreme trial,” Bret Whipple, Bundy’s attorney, told me. Whipple said he had never seen misconduct on this scale before. But it does happen. In a high-profile 2014 murder case in Oregon, federal prosecutors found piles of undisclosed documents at the office of a state police detective who was supposed to be helping with the investigation. The detective had reportedly become overwhelmed with the workload and hid evidence to make up for it. The judge lambasted prosecutors for their failure to unearth the documents sooner. In Nevada, the Bundy case is just the latest in a series of federal cases in the last 15 years that fell apart after prosecutors withheld evidence. The sheer volume of material in the Bundy trial also proved overwhelming. There were hundreds of thousands of pages of documents and thousands of videos and photos — the heaviest load Myhre’s office had ever faced. “If you have a large amount of discovery, the FBI is very well equipped to help you in that regard,” said Paul Charlton, a former U.S. attorney in Arizona. “But to a lesser degree is BLM capable of helping you in that regard. … (The BLM) are men and women of good faith. … But if you took a sample today of the BLM cases being brought in Nevada or Arizona right now, what you’d find were maybe theft of cactus cases, you might find camping beyond the 14-day limit cases, you might find killing of a wild burro or horse case.” The Bundy case was far more complex. Bret Whipple, the lawyer who represented Cliven Bundy in the case brought by the federal government, outside his offices in Las Vegas, Nevada. In the end, it seemed, all the trial had done was cast doubt on the federal government’s story, on the agencies’ actions at the impoundment, on their honesty in court, on everything. As with the federal government’s show of force at the impoundment, its inexplicable decision to withhold evidence regarding its own law enforcement played right into the Bundys’ hands, ironically fueling a movement bent on ending federal authority over public lands. In the months after the trial, Cliven Bundy’s star continued its rise. The feds’ embarrassing failure in court left the melon farmer and rancher feeling vindicated. He was getting back into the swing of ranch work. Reporters called every week, and supporters solicited him for speaking engagements in multiple states. Some members of the legal defense team even encouraged him to run for sheriff, but he wasn’t interested. By March, though, his son Ryan had announced a campaign for Nevada governor. And a handful of like-minded ranchers have also benefited from the Bundys’ celebrity. One couple in Amargosa Valley, Nevada, has been rallying against the Fish and Wildlife Service with support from the Bundy network; the agency reportedly rerouted a stream, drying up the couple’s property. Eric Parker, a Bunkerville defendant and member of the militia group Idaho Three Percenters, is supporting a rancher in a long-standing dispute with the Army Corps of Engineers in Washington. On a February morning, I met Cliven Bundy at his house at the ranch, tucked into sagebrush above the quiet Virgin River. He was clean-shaven, wearing jeans and a shiny belt buckle. We climbed into his wife’s Honda SUV and veered off the main dirt road onto rougher tracks crisscrossing BLM land. Once, he stopped to show me forage, ripping off a handful of tough shadscale that cut his thumb, his blood mixing in with tiny leaves before he tossed them into the breeze. We drove by the site where law enforcement arrested his son Dave, throwing him on the ground and handcuffing him, a scene that went viral on social media and helped rally people to the Bundys’ aid. We paused at water improvements his family maintains: a small pipe collecting water from the creek, a circular tank for cattle to drink from. He fiddled with the infrastructure, fixing a leak here, adjusting a pipe there. “See how much work it is to create water here in the desert,” Bundy said. Cliven Bundy on his ranch near Bunkerville, Nevada. Within the ranching community, the Bundys remain on the fringe. The vast majority of Western cattlemen and women still pay their public-lands grazing fees, and most show no intention of stopping. Yet the Bundys’ following taps into something more mainstream. Supporters who latch onto them do so for the same reasons many voters turned to presidential candidate Donald Trump: a desire to end economic hardship in largely white rural America, and to stay relevant despite the nation’s shifting demographics. The “Patriot” movement — a collection of far-right individuals and groups, who hold small- or anti-government views — finds a compelling mode of self-expression in the Bundys’ personal story. And in return, the Bundys get a public relations apparatus for free. That apparatus is far-reaching, but by no means does it present a united front. There is an active Facebook page where disillusioned supporters air their grievances, including claims that their donations for things like lawyer fees, transportation and housing for protesters at the trials are being misused. Cliven Bundy’s former bodyguard, Brian Cavalier, of Arizona, and militiaman Ryan Payne, who summoned hundreds of people to the Bundys’ aid, are among those who have since distanced themselves — Cavalier from the Bundys and Payne from his militia network. Neither man escaped all the charges the way the Bundys did; Cavalier, Payne and others have taken the fall for the family. Cliven Bundy visits a canyon to repair a leaking water pipe in an area of the Gold Butte National Monument where he grazes cattle, near his ranch in Bunkerville, Nevada. Associate Editor Tay Wiles writes from Oakland, California.